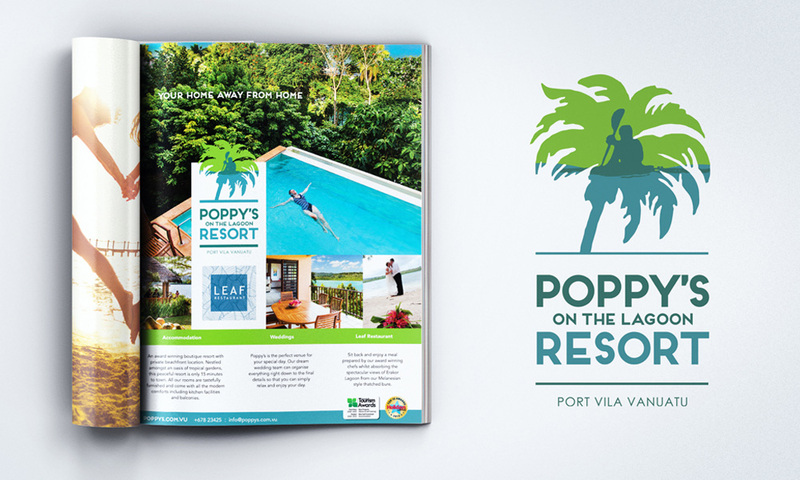 Poppys on the Lagoon Resort asked Pandanus to revamp and modernise their logo, while keeping the same water lagoon and paddler concept and establish a brand for their resort. We created four different versions of the logo for the client and demonstrated their use in different full page ad concepts for the client to see how the logo could be part of their branding. Up to this point the client had had no branding. So not only would they end up with a new logo, but some direction for their brand and advertising. Pandanus hand drew the new logo for the client to create an identity that that was unique, creative and tropical. The hero shot chosen for the ad demonstrates the lagoon front location and is clearly suggestive of the type of holiday experience that Poppy’s offer.